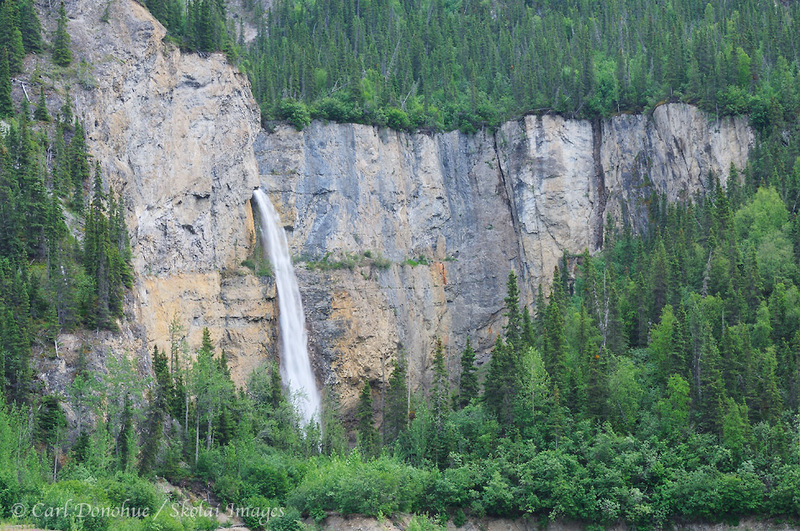 Waterfall photo, Wrangell - St. Elias National Park and Preserve, Alaska. Waterfall and boreal spruce forest, Nizina River drainage, Wrangell - St. Elias National Park and Preserve, Alaska. I like the grand size of this cliff face and the interesting angle from which you photographed the falls. Posted on Thursday, August 11th, 2011. This epic photo was taken by Carl Donohue.